Epic Games' efforts to take several "Fortnite" cheaters to court over copyright infringement is backfiring. In one of the cases, the defendant has turned out to be a 14-year-old boy. The kid's mother informs the court that the game publisher has no right to go after her son, accusing the company of using him as a scapegoat. 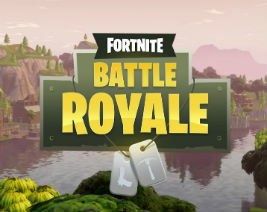 A few weeks ago, Epic Games released Fortnite’s free-to-play “Battle Royale” game mode for the PC and other platforms, which proved to be quite popular. It also attracted attention from thousands of cheaters, many of whom were subsequently banned. In addition, Epic Games went a step further by taking several cheaters to court over copyright infringement. One of the accused is a young man, who was banned at least 14 times since he started playing. Every time Epic took action, he simply created new accounts under false names and continued to play and cheat at Fortnite. What Epic Games probably didn’t know is that the cheater in question is a minor. The company likely obtained his name via YouTube or elsewhere, without knowing his real age. Instead of responding to the complaint through an attorney, it’s the kid’s mother who’s come out in his defense. “This company is in the process of attempting to sue a 14-year-old child,” the mother informs the court. In addition, she points out that Epic has no proof that her son modified the game and violated copyright law in the process. Perhaps more importantly, she highlights that the EULA, which the game publisher relies heavily upon in the complaint, isn’t legally binding. The EULA states that minors require permission from a parent or legal guardian, which is not the case here. “Please note parental consent was not issued to [my son] to play this free game produced by Epic Games, INC,” the mother writes in her letter. Epic claims that cheaters cause the company to lose money, but the mother doesn’t buy this since it’s a free game. Instead, she believes that the company is trying to blame her son for its failure to curb cheaters. The cheaters shouldn’t be the ones that are targeted, the mother additionally informs the court. Instead, Epic should go after the websites that offer the cheats themselves. “The company is in the process of suing a multitude of players for this game Fortnite. Instead of Epic Games INC suing the websites providing the cheat codes, they are going after the individuals using these codes,” she notes. The boy is accused of using cheat software that injects unauthorized code into the active memory of the game as it runs, not just codes. While he didn’t write the cheat himself, through his YouTube channel he showed others where to download it and asked for donations. The mother is convinced that the case should be thrown out. Epic Games has yet to reply to the mother’s letter. The fact that they sued a 14-year-old boy is a problem though, as minors can’t be sued directly. It’s possible that the game publisher will drop the case for this reason, unless they want to take it up with his mom. The mother’s full letter is available here (pdf).